Wow has it really been almost 3 weeks since my last post? And what happened to December?! I have no idea where the time has gone – December was so unbelievably busy with so much going on that all of plans for blogs got shelved..boo! Between a crazy few weeks at work (what happened to winding down for Christmas like we did at school?! ), the deadline looming for my first MSc module coursework and Christmas present shopping, dinner party organising and family gatherings – not to mention the day-to-day care of my three wonderful mud monsters (part horse, part woolly mammoth at the moment), December went in a complete flash! I had so many great blogs planned to share with you over the festive period, but didn’t get round to it – don’t worry, being more organised is one of my New Years resolutions – because I got to Christmas Eve and finally gave in. I had the week off and decided to spend it with my family and friends and generally relaxing. I actually had a few lie ins (8.45am counts as a lie in, doesn’t it?) and a few movie afternoons – something I’ve not done in years. So I now want to say I’m feeling totally rested and full of energy ready and raring to go but I actually managed to get ill (quite unusual for me), so I’m just trying to get over that..then I’ll be full of beans again! My Christmas was filled with family and food! Christmas Eve was spent delivering presents and batch baking gingerbread stars and making mince pies in preparation for the big event and Christmas day was spent with my family – after feeding all of the animals on the farm (we even had a Christmas present, a calf born overnight whom we decided to christen Mary), it was time for presents and a huge feast. My mum is the best at Roast dinners anyway, but Christmas time is something else – I had to roll away from the table! Homemade Christmas treats..this year I made my own mince pies (including the mincemeat! ), gingerbread stars and my failsafe sausage rolls, made from our own pork. 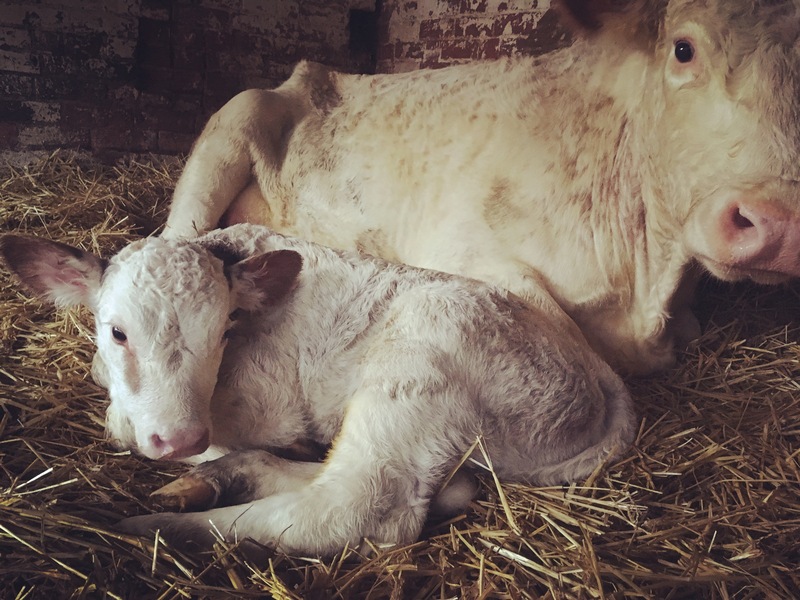 Another baby born in a barn on Christmas Eve/Christmas morning – welcome to the world Mary! Boxing Day was spent, as it always is, by starting the day off at the Annual Boxing Day Hunt Meet – my local hunt is the Meynell and on Boxing Day they always meet at Blithfield Hall which is right next to a beautiful reservoir. It’s such a beautiful setting and a chance to blow the Christmas cobwebs away with a good old walk in the fresh air. We usually frequent the local pubs afterwards – hunt supporters followed by Young Farmers vs the Old Farmers football teams make for a great social occasion! However, this year we came home to prepare a second feast (this time of the buffet variety) for our families. I had prepared enough to feed the 5000, which turned out to be a good thing as a lot more people than expected turned up! Family Boxing Day..a morning at the Hunt Meet followed by an afternoon of feasting and Hungry Hippos! So basically, I just wanted to check in with you, hear all about your Christmas Holidays and let you know that I am still here and the Blog is still alive! My Christmas Holidays in a few pics! I also wanted to say a HUGE thank you to each and every one of you that has taken the time to support my blog, it means so much more than I could ever express in writing and I hope that it continues well into 2017. I have to admit that it is really difficult to put myself out there and open myself up to criticism and negativity – I’m sure you all know that 2016 was so overwhelmingly positive, but there were a few awful negatives with regards to the blog as well, which is why your support means so so much. It’s so easy to want to give up but knowing that the majority of people out there are enjoying what I’m doing, well that means the world. But I’ve made the New Years Resolution to stay focused, ignore the negativity and enjoy what I’m doing – after all this is a hobby of mine, so if I’m not enjoying it you won’t either and then there’s no point what so ever! I’m also going to plan more – I love writing lists anyway, and be more organised! Speaking of which.. There is SO much to look forward to this year, I am really excited about some of the planned features and I’m sure you will be too, so keep your eyes peeled! They’ll be some more exclusive previews and discounts as well as more of an insight into my life (just the fun bits, I promise! ), so stick with me! January is definitely going to have a heavy focus on shooting – the last full month of the season and I have lots of exciting things planned that I cant wait to share with you, but they’ll also be reviews of some amazing new products, some shooting related (the LightGun by Wardfield Shooting) and some not (I’m sure those eagle-eyed readers have spotted a brand new exclusive Fairfax & Favor bag, as well as some gorgeous treats from Wingfield Digby!). Thank you all for your support during 2016, I hope you have a happy, healthy and fun-filled 2017! 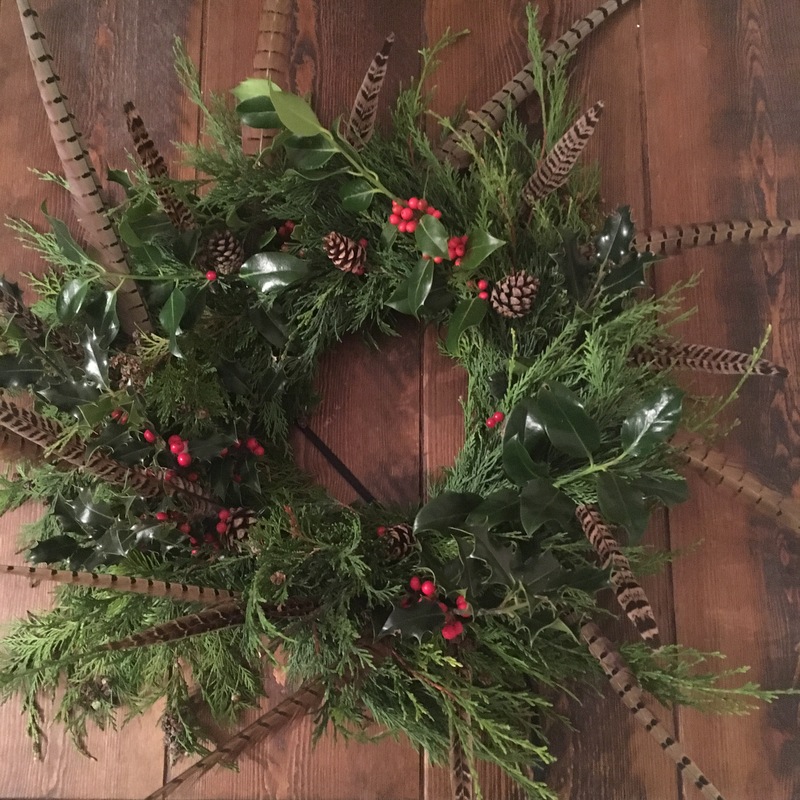 Previous PostGifts that are Perfect for a Country Christmas Next PostWhat the Hygge?! I Love this blog, it is exactly what I need and refreshingly so different from other lifestyle blogs! Don’t let negative comments get to you, country life is hard to grasp for some who haven’t had the chance to enjoy it.